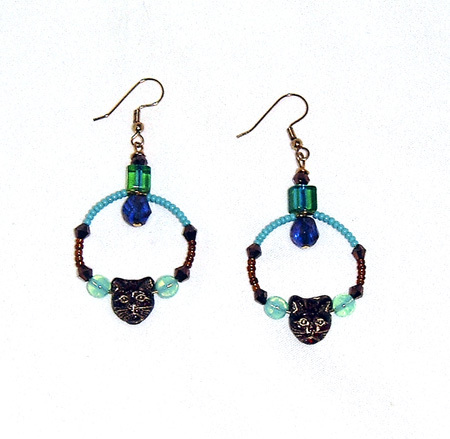 Bronze Kitty Hoop Earrings - Beaded Cat Hoops. Hand made beaded cat hoop earrings, an original design by Mary. Shades of turquoise, blue, bronze, and gold. Hoops are 1 1/8" in diameter. Finish length excluding French wire is 1 3/4". Lightweight and dramatic.